Check out Best Drones 2019 that you can buy on Amazon for less than $200. Want to buy a drone? Don’t waste your time and money in searching for drones roaming over stores. 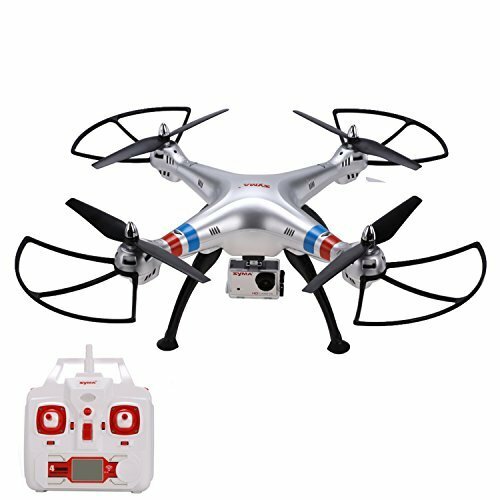 You can find many drones online at the lowest price. Your dream of flying a drone will come true with the Best Drones Under $200. Now here comes a confusion which drone is the right choice among all those drones? Don’t worry i am going to give a brief information about their features. So you will come to a conclusion in picking your drone which depends on your interest and requirements. If your main issue is the drone price, then don’t need any tension because nowadays companies are producing quality drones at low prices basing its customer requirements. You can also see advanced features like FPV, follow me features in these beginner drones listed as best drones under $200. These are the top 5 Best Drones under $200 having a camera which are having advanced features like FPV, Follow me, etc. For a beginner, i would suggest these drones as their first flight to learn flying. 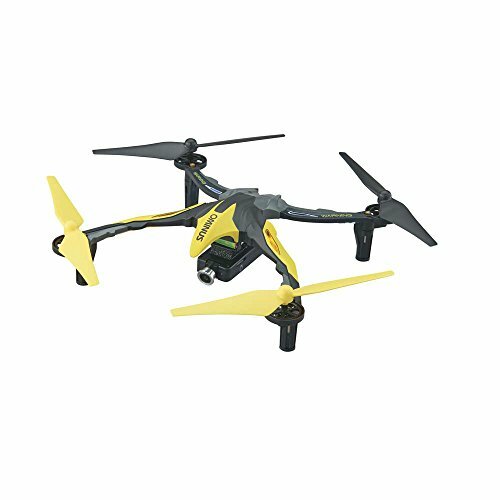 You can see the features of these Best drones under $200 in a brief while scrolling down. Hubsan Desire H502S drone is one of the latest quadcopters that falls under the category of best drones under 200$ because of its various advanced features. The advanced features of Hubsan are FPV, one key return home, altitude hold, headless mode, etc. Resolution of the camera is 720p; you can use Hubsan FPV drone not only for learning but also for aerial photography. 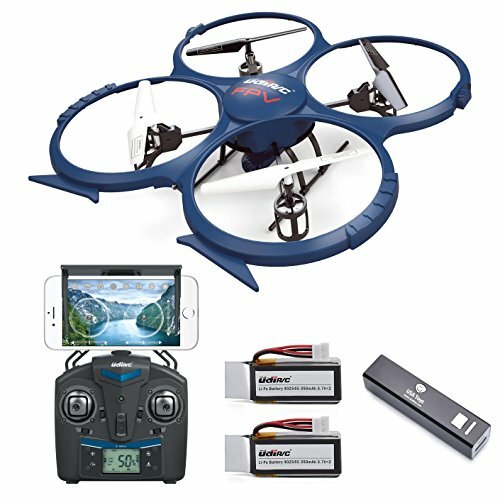 Hubsan H502S is ready to fly quadcopter which is easy to control. Hubsan FPV H502S drone has one key return home feature. The remote controller has a 4.3 inch LCD screen to experience FPV feature. H502S Hubsan FPV Drone has GPS feature for tracking and finding location. A LiPo 7.4V 610mAh battery gives a flight time of 12mins. The dimensions of the FPV Hubsan drone are 7.2 x 7.2 x 1.9 inches. Hubsan Can fly both indoor and outdoor areas. With Headless mode, the pilot no need to fix the direction of the flight before flying. Dromida Ominus quadcopter is also an FPV featured which is the best drones under $200. FPV Dromida Ominus drone is the best cheap drone with a built-in camera. With the help of the built-in camera, you can shoot sharp clear images and videos controlling by your own smartphone. Features with WiFi enabled HD camera. Dromida has 6-Axis gyro stabilization. Dromida Ominus has SLT (Secure Link Technology) for creating automatic, unbreakable links between the receiver and your transmitter’s unique coded signal. On a full charge of 3.7V 700mAh 35C LiPo Battery, the drone give the flight time about 10-12 mins. The transmitter has SAFE technology so as to form unbreakable links between drone and transmitter. The dimensions of Dromida Ominus FPV drone are 15.4 x 9.7 x 5.1 inches. Four flying modes: easy, normal, advanced and expert for various skill level people. Dromida FPV Ominus is included with multi-color LED lights for easy day and night flying. You can fix a smartphone or tablet to the remote controller to experience FPV feature. Syma X8G is the RC drone come under $200 and is included with 8MP camera. The Syma X8G is equipped with 6-Axis gyro flight control systems. 2.4GHz Syma UAV is an affordable drone which a beginner flyer can buy to learn flying and for aerial photography. Syma X8G is one of the best drones under $200 having 5MP camera to take HD images and videos. Syma X8G UAV flies both indoors and outdoors. It has fitted with a built-in camera has the option to switch between 5MP to 8MP. The X8G drone is equipped with bright LED lights which allow the pilot to operate during night. Syma has the power to withstand strong winds. The flight time of Syma X8G Drone is 7-8 mins. 2.4GHz Syma X8G performs 360° 3D flips in all directions. The dimensions of Syma FPV quadcopter is 19.7 x 19.7 x 7.5 Inches. X8G Syma Quadcopter has a headless mode, so the pilot no needs to set the flight position before flying. The control range of 2.4GHz frequency transmitter is 100m. Parrot AR Drone 2.0 Elite is an ultimate WiFi controlled quadcopter under $200. It is available in 3 versions such as sand, jungle, and snow. By downloading Parrot elite Free Flight app, you can control the Parrot elite and enjoy flying with parrot drone. The Parrot Elite 2.0 AR drone is mainly used for aerial photography, filming and recording the footages. Parrot AR Elite doesn’t come with a controller; it is controlled with your smartphone or tablet. The Free Flight app is easy to use to control the drone. You can record or share videos and pictures with this Free Flight app on mobile. A 720P camera is included in the Parrot Elite drone used for live streaming and recording. Director mode let you use Parrot drone for filming purpose as a director. Parrot AR drone Elite is used in outdoor environments. The flight time of Parrot Elite AR is 12 mins because of its 1000mAh lithium polymer battery. The dimensions of Parrot Elite are 23 x 5 x 23 inches. UDI U818A drone is one of the best drones for sale with a camera having the following features. The UDI U818A drone is easily operable drone which will pair with a smartphone quickly. This drone is designed to fly in both indoors and outdoor areas. With the new FPV feature, you can enjoy live feed from the smartphone. 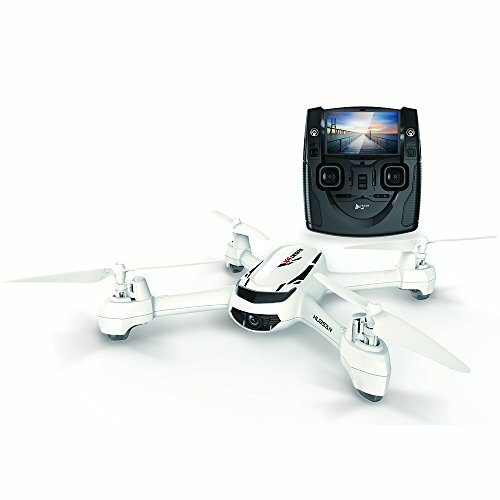 UDI U818A has 2MP camera to shoot HD aerial photography. With return home feature, there will be no loss when low battery. 2.4GHz UDI U818A drone has headless mode feature. For extra stability, UDI offers 6-Axis gyro stability. UDI u818A Quadcopter can fly both in indoor and outdoor environments. The dimensions are 16.1 x 4.1 x 13.8 inches. Before buying a drone, please check the below mentioned consideration factors. Buying a drone either low budget or high budget, don’t purchase the drone without checking the following factors. If you are a drone enthusiastic and a have an interest in capturing pictures then before buying a drone camera is the main factor to consider. If the built-in camera has high resolution, then the drone flyer will enjoy the capturing image. You can store your memories of the drone flying in included memory card. Consider the flight time when you buy a drone. For learning purpose, if the flight time is more you can learn more time. The payload, drone weight, etc. will impact on the flight time, so check those factors also while purchasing a drone. The flying environment is also needed to consider. For beginners, the indoor flying drone is very helpful. If you have experience in flying, then you can fly both indoor and outdoors. If drones are built strong enough, then they can withstand crashes. As these drones are under $200, they will be strongly built. The Quality of the material will depend on the type of material whether fiber, ABS plastic, etc. A drone which is made of ABS plastic material, then it will be strong. So check the quality of material. If the drone fixed with propeller guards, then those guards will protect the drone and people being affected. Protection is also a considerable factor before buying the drone for the first time. With the operating range, you will know How high and how far your drone will going to be in the air. Always keep your drone in sight so it will be visible in your limits. The specifications of the battery will also be a considerable factor. The less charging time of battery the more flight time you can enjoy. If you own spare battery then you can enjoy flying a drone longer time. Educating yourself about what factors are needed to consider is effective time point without searching on features for a long time. Now you the factors to be considered before flying the drone. Be hurry! It’s time to choose your best drone. Finally, the above mentioned drones are best drones under $200 and are good to start your journey with drones. Be first to pick your special drone after seeing this article. These are the top 5 Best drones under $200 which a beginner flyer can affordable having advanced features. I would Recommend these drones as the first drones for beginners, for aerial photography.